Human beings cannot survive without food, but we don’t eat the same thing for every meal of every day. What we eat is something that speaks to our personality and our character. Some people prefer long meals with many courses. Some eat something small for every meal. Those who are dieting eat less in a day than those who aren’t. Some might refrain from eating certain foods for religious or cultural reasons. This new series, “What’s on your plate,” explores those different choices and the reasoning behind them. 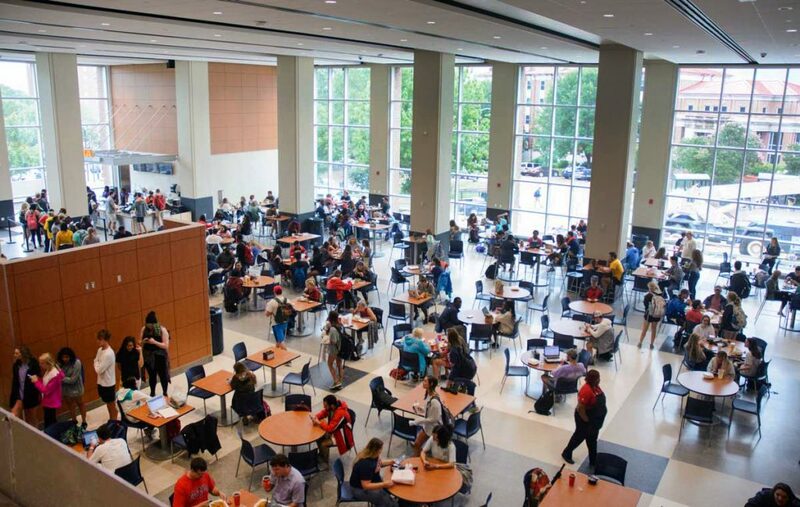 It’s an effort to learn more about people — specifically Ole Miss students — through the food they’re eating at a meal during the day. This week, I went to the most frequented eating spot on campus: the Union. Home to five national chain restaurants, the Union offers a unique mealtime dynamic designed for relatively quick eating experiences. For students like Silas Nelson, a freshman public policy leadership major from Horn Lake, a quick eating experience is his usual choice. Nelson was eating a chicken sandwich and fries from Chick-Fil-A earlier this week. “Ol’ Reliable” is what he called the meal. He spoke highly of the restaurant’s speed, consistency and hospitality. Nelson said he doesn’t like to spend a whole lot of time doing stuff he doesn’t have to do, and eating is one of those things for him, both in Horn Lake and in Oxford. Nelson explained that Desoto County is largely occupied by chain restaurants, so on his way home from high school, Nelson would frequent a selection of the many chains that his hometown has to offer. While Chick-Fil-A seemed to have a bit of a monopoly on the particular lunchtime I visited the Union during, sophomore accountancy major Logan Gage ate a sandwich from Which Wich while we discussed the importance of a good sandwich and compared the food in Oxford to the food in his hometown. Gage, a Ridgeland native, was eating a turkey and ham sandwich on white bread with American cheese and lettuce. He said he doesn’t get much on his sandwiches, at least at Which Wich. Gage said his hometown is another city mostly dominated by chain restaurants, but it has its fair share of gems, such as a sushi place called Sushi Village with a fantastic deal on all-you-can-eat sushi. According to Gage, it’s a hot-spot for young people looking for a deal on a usually expensive meal. Gage said he thinks Oxford could benefit from a place like this or Waffle House, which is known for its cheap food available 24/7.